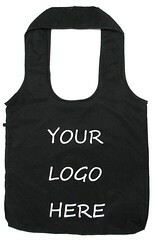 The Reusable Promotional Bag options available from Bag People just keep growing. In recent times we've added Polyester & Fairtrade Cotton. The main reason for adding these fabric options to our range is choice. Customers are becoming more sophisticated & we need to make sure that as a quality supplier, we're a step ahead of the trend. Reusable Bags are still an excellent way to get many marketing messages out & there are more & more ways of carrying that message. Because we are bag experts, we can see the trends & we have the expertise to make sure we have right methods available to help you with your marketing. Contact Us for more information on how we can help get your message out. Remarkable piece of writing! I liked all the reviews. I think that Reusable Bags are still an excellent way to get many marketing messages out & there are more & more ways of carrying that message. I will stay in touch for more information. Thanks for sharing.